Venezuelans are mad about shopping, and much social activity revolves around the glitzy malls that dot the urban areas - when the country's erratic electricity supply allows. Shoppers flock to Isla de Margarita, particularly the town of Porlamar, to take advantage of the island's duty-free status. Travellers are more likely to be interested in the quality handicrafts produced by Venezuela's indigenous inhabitants, including hand-woven baskets by the Ye'Kuana people of the Orinoco Basin, chinchorros (palm fibre hammocks) by the Wayúu (also know as Guajiros), and devil masks from San Francisco de Yare. The northwestern state of Lara is renowned for its woodwork and blankets, particularly from the village of Tintorero, while adjacent Cojedes state is a producer of harps, cuatros (small guitars) and maracas. Bead jewellery, wooden carvings and other handicrafts made by the indigenous inhabitants of Amazonas can be bought at the Plaza Romulo Betancourt in Puerto Ayacucho. Gems and gold and silver jewellery also make good purchases. It's best to look for these items where they're made, but if you're unable, try Hannsi, an enormous crafts department store in El Hatillo, an outlying district of Caracas. With the runaway inflation levels afflicting the country, there are few real bargains available for shoppers. The parallel or black market rate of exchange offers up to seven times the official rate, however. Do not on any account change money on the street, but ask someone in a senior position in your hotel or travel agency. The black market, although widely used, is actually illegal. Casas de cambio – bureaux de change – and banks, are the safest places to change money, with US dollars the preferred currency. Credit cards are accepted in most larger establishments, but beware of hidden surcharges. Due to government energy rationing, the advertised opening times for malls and supermarkets are often subject to last minute change. Mon-Sat 0930-1800; shopping malls, daily 1100-2200. Smaller outlets often close for lunch, until about 1500. Opening hours are currently subject to change at short notice due to government restrictions and inadequate electricity supply. Venezuelans love their rumba, salsa and merengue, and indulge in their music and dance with infectious passion. The evening's activities usually get started with a couple of cold Polar beers or rum cocktails at a bar, followed up by a night of dancing. Most discos cover the musical spectrum from salsa to Latin pop, while the more youth-oriented venues tend toward rock and reggaetón. 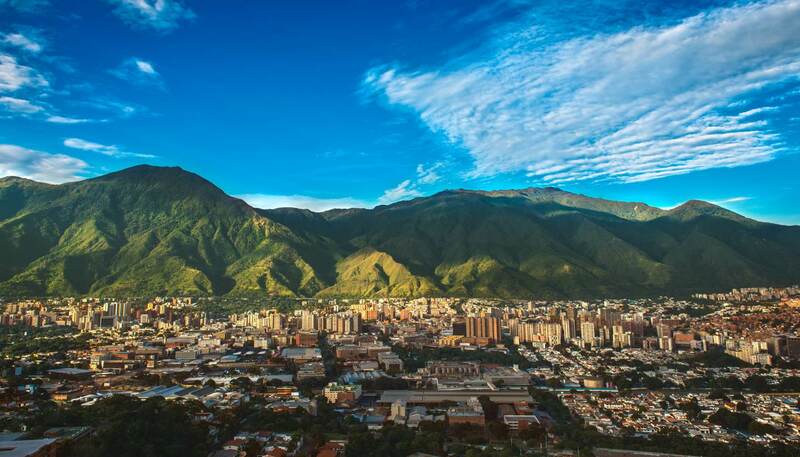 The capital, Caracas, boasts the country's most hedonistic nightlife scene, with multi-hall clubs thumping through the night. El Maní es Así is the acclaimed home of salsa in downtown Sábana Grande; latin jazz is also catered for, with the Juan Sebastian Bar attracting top international artistes. Sábana Grande can get a bit rowdy at night; leafier districts such as Chacao and Las Mercedes offer swankier but safer settings. Most towns of any significant size will also have a disco or two. For a less frenetic night out, stately old theatres in Caracas, Maracaibo, Maracay and Valencia feature classical music, opera, ballet, and (if your Spanish is up to it) plays. Cinemas, often located in shopping malls, generally feature recent Hollywood fare with Spanish subtitles.